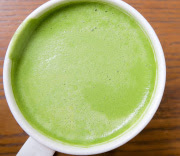 March is nutrition month and it is time to shake off the winter cobwebs and feel your best. In addition to cleaning out your cupboards and/or closet, why not do some internal cleaning as well? Whether it is weight loss, strengthening or working on practicing a little more gratitude, March is always the month where I see so many health transitions begin. 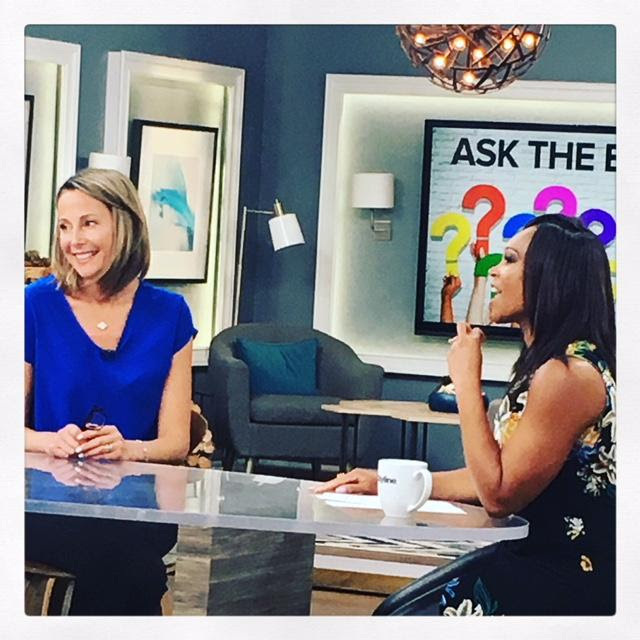 Boy oh boy our Cityline weight loss challengers are doing well this year! To see their success so far and to get my top 10 game changing health tips, click here. My ultimate goal with clients is not only helping them to lose weight, it is providing them with the skills to keep their weight off for life! 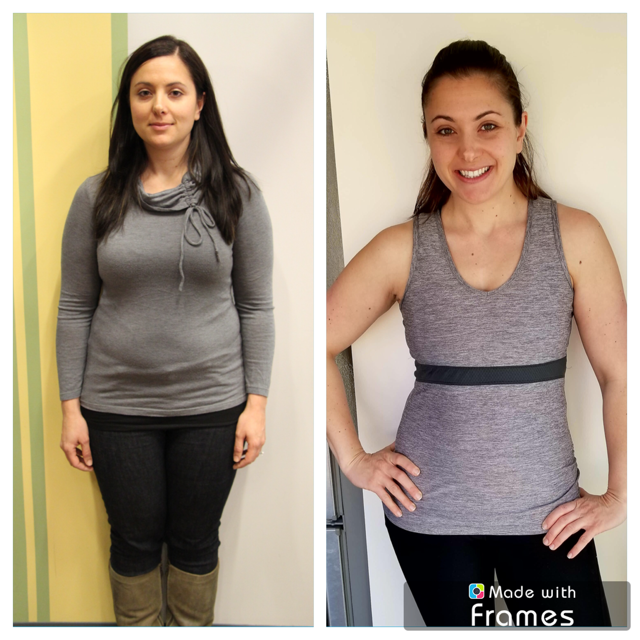 Huge congratulations to Stefania, who has successfully kept her weight off for 5 years! Stefania is a working and active mother of 3 who is also training for a triathlon in the summer - she is truly beautiful inside and out. So... don't wait until summer to start losing your weight and feeling like your best self. Spring into spring by getting rid of belly fat, boosting metabolism and feeling your best. All you have to do is book in for a free weight loss assessment at 1 of our 3 Shulman Weight Loss clinics listed below. 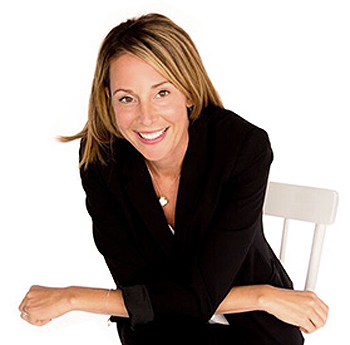 As the #1 weight loss clinics in Ontario, my team and I are dedicated to helping you lose your weight and keep it off... for life. 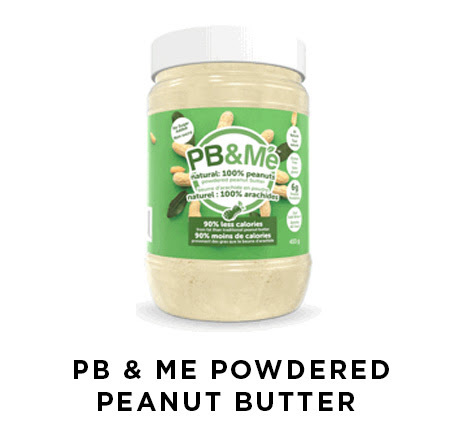 This powdered peanut butter by PB & Me is the perfect way to enjoy the delicious taste of natural peanut butter in an easy and mess-free way. Unlike other powdered peanut butters, PB & Me has NO added sugar, so you can feel good about giving this product to you and your family. Loaded with protein (6g per serving), this product is the perfect nutritional boost for your morning smoothie, overnight oats, or yogurt parfaits. These tasty little quinoa treats are the perfect way to satisfy a chocolate craving in a healthy way! 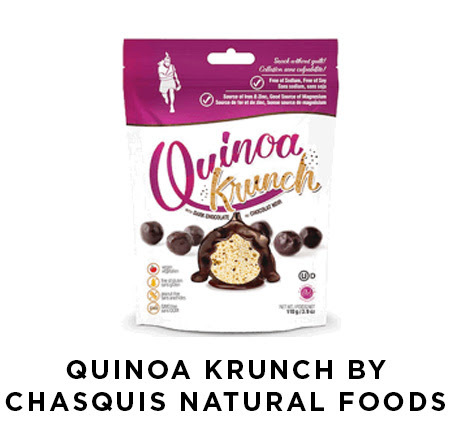 Made with delicious dark chocolate and organic quinoa, each quinoa bite is crunchy and satisfying. Peanut free, gluten free, kosher and vegan – snack without guilt! This stylish, unisex bracelet is made from 100% recycled materials. The beads are made from recycled glass bottles while the cord is made from recycled plastic water bottles. Best of all, for every bracelet you purchase, one pound of trash is removed from the ocean. 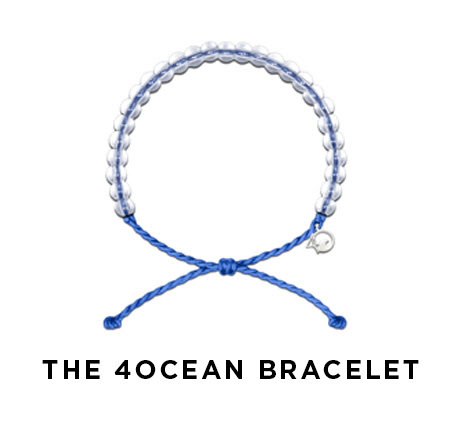 To date, 317, 590 pounds of trash have been pulled from oceans and coastlines from the sale of these bracelets. Let’s face it – this winter has been hard on our skin, lips and nails. 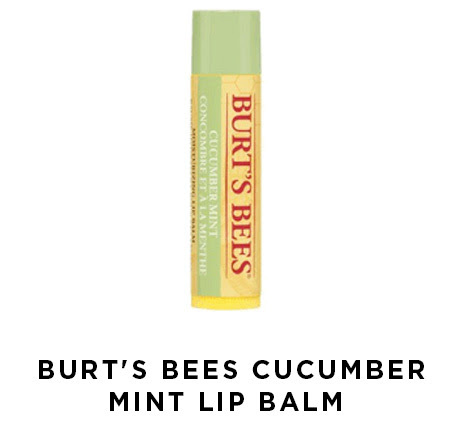 If you are finding your lips extra dry this month, nourish and soothe them with Burt’s Bees hydrating cucumber and mint lip balm made with 100% natural ingredients. Infused with cucumber fruit extracts, beeswax, peppermint oil, coconut oil and shea butter to deeply nourish and hydrate all day long. The lip balm is also free of parabens, phthalates, petrolatum and SLS. I am often asked about the skin care line I use. Pure and Simple products are definitely part of my “go to” skin regime. 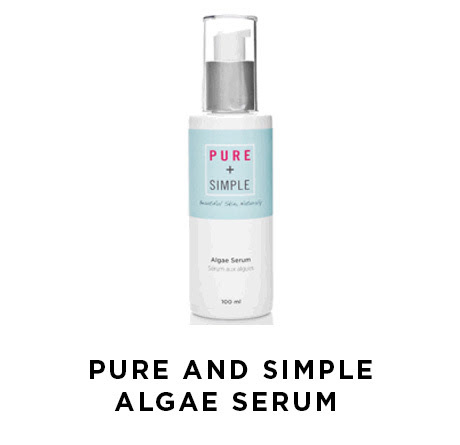 This hydrating algae serum by Pure and Simple helps to revive your skin in the morning, while locking in moisture in the evening for a good night's rest. The light, water-rich creamy serum is formulated with rich concentrations of vitamins + antioxidants that help to moisturize and nourish all-skin types. Containing sea algae and antioxidant boosting green tea, your skin will look invigorated and have that healthy, natural glow. Simply apply 1-2 pumps to your entire face and neck after cleansing and toning. Do not rinse. Use day and night for the best results. Nutritious and Delicious Recipes for Nutrition Month! In a small bowl, add the avocado and mash. 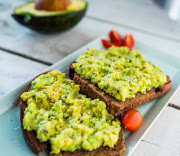 Top mashed avocado onto both pieces of toast and sprinkle hemp hearts and feta cheese over both pieces. Option to add a sliced hard-boiled egg on top for extra protein. Add matcha powder and hot water into mug and whisk together well. Add steamed/foamed almond milk, honey and cinnamon to mug. Mix together and enjoy hot! Fill a large pot with about an inch of water, and bring it to a boil. Add the cauliflower rice and cover. Allow to cook for about 4-5 minutes. Drain into a fine-mesh strainer. Wrap up the rice in a dishtowel or cheese cloth and squeeze all the moisture out. In a large bowl, mix up your strained rice, beaten egg, goat cheese, and, oregano and sea salt. Press the dough out onto a baking sheet lined with parchment paper. Bake for 35-40 minutes in preheated oven. The crust should be firm and golden brown when finished. 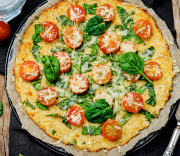 Add tomato sauce, cherry tomatoes, spinach and Parmesan cheese and return the pizza to the oven. Bake an additional 5-10 minutes and broil for last 1-2 minutes. Place currants in small bowl and cover with two tablespoons white wine vinegar. Set aside. 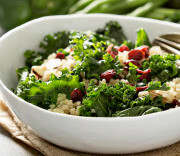 Lay several leaves of kale on top of each other and cut thinly crosswise. Add to a large bowl. Make vinaigrette: In a small bowl, combine one teaspoon white wine vinegar, lemon rind, lemon juice, honey, olive oil and sea salt, and whisk. Add vinaigrette, sunflower seeds, and currants, including any additional vinegar left over from soaking, to the kale and toss to combine. Allow to marinate for 20 minutes at room temperature, tossing occasionally. 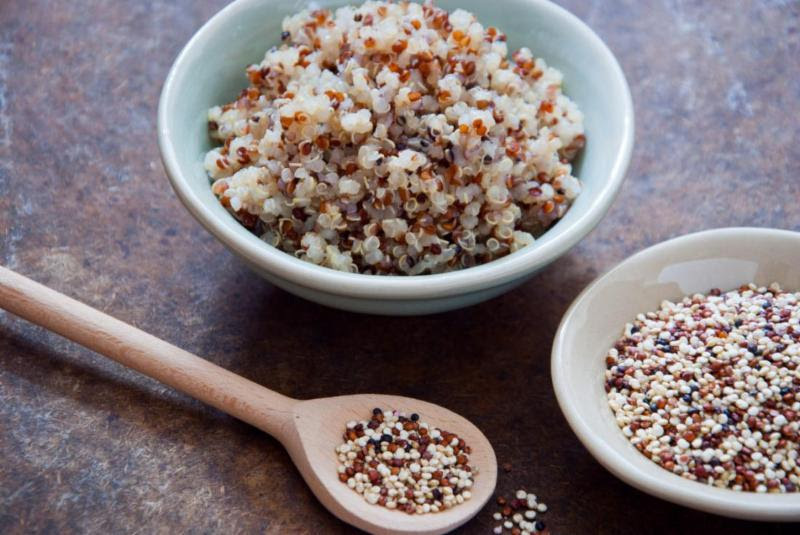 Add cooked quinoa before serving.